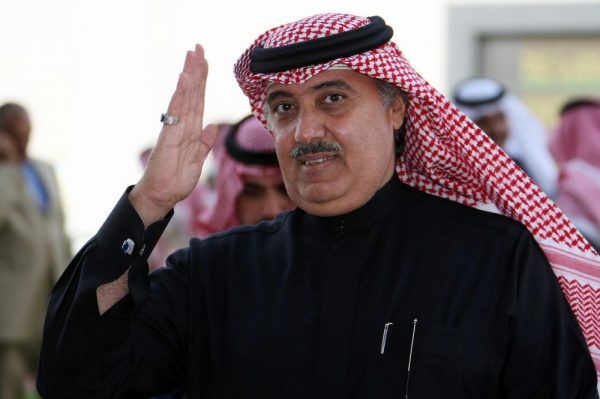 Prince Miteb bin Abdullah, one of the most senior Saudi royals detained in the kingdom’s declared crackdown on corruption, has been released after reaching a settlement deal believed to exceed the equivalent of $1 billion, an official involved in the anti-graft campaign said. Prince Miteb, son of the late King Abdullah, who headed the powerful National Guard until earlier this month, was released Tuesday, the official said on condition of anonymity in discussing matters under the supervision of the public prosecutor. At least three other suspects have also finalized settlement deals, the official said. It wasn’t immediately possible to reach Prince Miteb for comment. The public prosecutor has decided to release several individuals and will proceed with the prosecution of at least five others, the official said. Prince Miteb’s release is a sign that Saudi authorities are moving to wind down a purge that has shaken the kingdom and reverberated across world capitals, as analysts, bankers and diplomats sought to assess its impact on power in the world’s biggest oil exporter. Crown Prince Mohammed bin Salman, the kingdom’s predominant leader known as MBS, said this month that the majority of those being detained had agreed to pay back some of the money they had gained illegally, in exchange for their freedom. The prince said authorities could recover as much as $100 billion in settlements. The crackdown has turned the palatial Ritz Carlton in Riyadh, which hosted U.S. President Donald Trump in May, into a five-star detention center for about 200 of Saudi Arabia’s richest and most influential people. The list included billionaire Prince Alwaleed bin Talal, the king’s nephew, as well as billionaire Mohammed Al Amoudi, officials have said. The official who confirmed Prince Miteb’s release said the public prosecutor has the complete authority over the investigation, including accepting or rejecting any settlement proposal and whether to take any suspect to court. Saudi Arabia’s Attorney General Sheikh Saud Al Mojeb said this month suspects were granted legal access. His office, however, has yet to release details of the charges or allow access to the suspects and their lawyers, making it difficult to independently asses the cases. The opacity of the system doesn’t take away “from the political capital that MBS probably earned from this from the Saudi public” by declaring war on corruption, said Hani Sabra, founder of New York-based Alef Advisory. “We continue to believe that MBS’s risky domestic gambits are likely to succeed,” he wrote in a report. King Salman fired Prince Miteb shortly before midnight Nov. 4 and announced the formation of an anti-corruption commission headed by the crown prince. The prince’s arrest fueled speculation that the crackdown was more about tightening the crown prince’s grip on power, a claim he dismissed as “ludicrous” in an interview with the New York Times’ columnist Thomas Friedman this month. Yes he was released so Bin Sulman can buy the De Vinci for 450 Million dollars. Thank you Prince Miteb..